Wait, wait, do not walk away. Just hear me out. I know this is not a fun topic and I am not trying to be a Debby Downer, but if you have young kids and you have not started saving for their college years, continue reading. I promise I will not judge you. * Private College Today (Enrolling 2015) = $134,600. * Public/University Today (in-state resident) = $39,400. * 2 Years Community College & 2 Years Private College Today = $77,400. I know, I know. This is extremely depressing to see but stay with me. Right off the bat, let’s clear up some common misconceptions out there about affording college. I had to laugh (and cry) when I discovered how wrong I was and wished I had been better informed. Although these common misconceptions may actually work out for some parents, trust me when I tell you that it is a small percentage of people. Reality is typically not that rosy and most of us cannot afford to think this way. Let’s discuss the first misconception, Financial Aid. “Federal Student Aid provides more than $150 billion in grants(money that does not have to be repaid), loans, and work-study funds each year.” (www.ed.gov/blog). To qualify for aid, there are several factors that are taken under account including student and parent income and assets, household size, and the number of children in college. As a ‘middle class’ family with two children, we applied for aid for our son when the time came. Although he qualified for subsidized and unsubsidized loans (I don’t consider loans aid since they need to be paid back) and work-study, the fact that we only had one child going to college and that we exceeded the income qualification (barely), we did not receive much real aid. This only reinforced our belief that, once again, that the middle class get screwed. Sigh. Once our daughter joined the college pool two years later, we were awarded more aid (still not enough to cover the astronomical tuition costs), but this time from her college. This aid will end as she enters her junior year because my son will have graduated and we will only have one child in college (this is where having multiples can have financial benefits). What they don’t take into account is that just because your child is no longer attending college does not mean that you are done paying his college costs. The lesson being that you should not expect or rely on federal aid to cover your costs. Many colleges will offer aid for the first year to lure students in, but will not offer that aid in subsequent years. In addition, merit aid (based on achievement) is not offered as widely as it should be. Having said all the above, it is recommended that everyone apply for Financial Aid. The application process although tedious, is free and worth doing in the event that you qualify for any amount of aid. For more information about Financial Aid go to: https://studentaid.ed.gov/sa/prepare-for-college or https://fafsa.ed.gov. The second misconception is that if you are financially strapped now, you will have plenty of time to ‘deal’ with college costs later. Look, most of all are strapped and living paycheck to paycheck, but there is no way you will catch up later unless you expect to get a substantial raise or can accurately project a future significant rise in income. 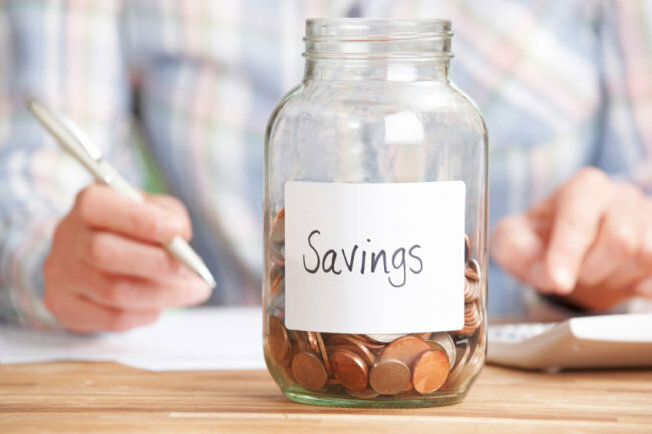 Starting the savings process early is the first step, funding it on a regular basis is key. We opted for a 529 plan for our kids. “A 529 Plan is an education savings plan operated by a state or educational institution designed to help families set aside funds for future college costs. It is named after Section 529 of the Internal Revenue Code which created these types of savings plans in 1996. Although contributions are not deductible, earnings in a 529 plan grow federal tax-free and will not be taxed when the money is taken out to pay for college.” (source: investopedia). See http://www.irs.gov/uac/529-Plans:-Questions-and-Answers for more information. Although we opened up the 529 plans when the kids were young, we did not fund them enough. When this happens you risk the fact of liquidating all the funds as early as the first year of college. Let me say it again, we did not put away ENOUGH money. Perhaps if you are fortunate, misconception number three will be your reality. Grandma and Grandpa have set money aside for your little Johnny or Bette to attend college. If that is the case, I applaud you and your parents. 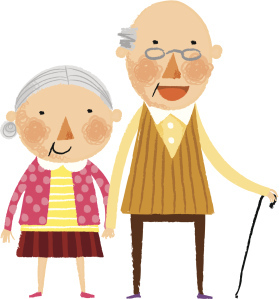 There is nothing a grandparent wants more than to be able to provide for their cherished grandchildren. But, if your parents are like most, their cost of living, their healthcare costs and their long-term-care costs have risen monumentally and they have had to re-adjust their finances. Or maybe they suffered a tremendous financial loss in the stock market. The point is that there are too many unpredictable scenarios that could alter their well-intended plans to help your children financially. Things may look promising now but you do not know what the situation will be as they age and live longer than past generations. See grandparents.about.com for more information. Our children understand that they will have significant student loans to pay back as they enter the work force and navigate this tumultuous economy. This is a fact for most families. “There has been an alarming increase in the number of four-year college graduates with very large debts. Back in 2004, only 1 percent of students who earned a bachelor’s degree that year had borrowed $50,000 or more, adjusted for inflation. That grew to 10 percent in 2012.” (Source: us news.com). Not all students are college-bound and there is absolutely nothing wrong with trade schools but regardless of what works for your family, there will be a cost attached to helping your children take advantage of the opportunities available to them, in order to succeed. Although I am proud of our efforts and initiative we took early on, I regret not being better informed of the complexities, realities and steps necessary to prepare for our children’s college years and for letting some of those misconceptions blindly lead us along. I hope that if you have young children and you were brave enough to have read this post in full, that you have learned something valuable and helpful to get you started with the “C” word savings process. I’m so glad to finally return online (was off for almost two weeks) and see this. Great post, Maria. And painfully true. I have a niece and nephew in college. Tuition is already high. New parents, please take heed! Were u doing something fun for those two weeks?? No hope so! New parents, don’t have too many- they are too expensive!!! I am you on this issue, prudent but not aggressive — but somehow married a saver who was plugging money into college funds practically before our kids were born, and kept at it, a set percentage every month. This is definitely not the norm. Volunteered in the high school career center and was stunned to work with students and families who had virtually nothing saved up, and no idea how the Pell Grant or student loan system worked. Met a young woman the other day with over $90,000 in student debt, who was just opening a massage therapy business. Think that loan is gonna be paid off? Thank you for this great post. There must be an original idea out there. Anyone??? Having said that, just back from Man from UNCLE. A respite from painting. Such a Canadian as I flip and flop on an idea. Whoops! I meant great advice. Maybe consider Canadian post secondary education, may be cheaper. I need to seriously look into that option. Thanks! That’s insane, Sherri! I was just hearing about the British system and only having to pay back funds based on your salary. What a brilliant plan! No such luck here, as you well know. All we can do is move forward and do the best we can! I am enjoying this week being with my kids before they head back to college. They have both been gone all summer at their jobs so I have not seen them much. Please, can you do something to stop summer from ending????? Excellent post! The numbers make such an impact!! My best friend had 4 kids in 5 years. They began planning for college from day 1. This year they have a college freshman & a sophomore…next year they’ll have a junior, sophomore and freshman. They have given the kids a tuition budget of $25,000 per year. Shockingly – not enough for many schools…but they have stuck to their rule, and require the kids to work summer jobs to make up the shortage in funds – another GREAT lesson……having to WORK for what you WANT! And maybe ugly ones too, as long as we are at it. Ugly and dumb? Hmmm…that would be very tough considering our great looks, Arturo. We would have to really work at it, but it would make life less complicated. This is so, so true. We went through the exact same thing, with the exact same timing. The tax difference it made when the first kid graduated was the biggest surprise to us. Our youngest is heading to grad school in a week and I am very concerned with the amount of debt she’s going to be taking on. I would like to propose another option that I WISH we had pushed harder when our kids were little. 1) Have THEM save and continue to work while in school 2) only go to an in-state college that you can afford 3) take time off to work if you have to – there’s no law that you have to do it in 4 years. College costs are way out of control and way overpriced. I feel bad for those with kids who end up in massive debt and paying back school loans forever. Yup, the middle class does get screwed for sure. Makes me glad I am childfree by choice. College costs are insane. Another thing I think most parents and college age kids should look into are trade schools. We are raising a generation of kids who can’t get jobs for what they went to school for. Yes, there is a big need for those in the trades but not enough qualified people to fill them. Not everyone needs to go to expensive colleges to land a well paying career. I agree, Phil! Trade schools and community schools have gotten a boost in their enrollment numbers and it makes sense. We not only need ‘thinkers’ in this economy, we also need skilled ‘doers’! Craziness! Good warning. College cost have gotten out of hand. With my son’s various issues, that include learning disabilities and more, I don’t see him going to a 4 year university when he graduates from high school, but maybe a junior college or a trade school. Regardless, we have saved for it. And thankfully, I only have one child to put through college. When I went back to college when I was in my mid 20’s, one of the determining factors of what I ended up doing (studying), was post grad employment rates, and how big of a debt I would incur. I was able to find work right after graduation, and paid off all debts in under 12 months. Even Santa’s laughing. I got to say, this is all very depressing, although we’ve been putting away money for the kids since they were born. It’s just part of the process now, a piece that comes off the pay cheques. I’d like in on the drinking fund please. I’ll just go ahead and say this. The higher ed financing system is unsustainable. It’s gonna break. People are coming out of college unable to pay the loans back — so unable, they have no choice but ignore them and get on with their lives. And more and more, for young people, college is looking like a bad deal. What would you rather do, if your were 19 and actually capable of understanding how this all works. Borrow enough money to buy TWO houses just to get through college and maybe, if you picked the right major, there’s a job at the end of it? Or just spend a little bit of money and learn to be a welder (or whatever), and instead of putzing around on campus for 4 years, then spending another year or two figuring out what to do, you just do training for 18 months and get to earning. The problem with college at this point is that it’s a lot of years — and supposedly some of the most productive — when young people are living on credit instead of earning. Not sustainable. It’s like the housing bubble at this point. It will break one day. You are so right, Maria. All of your advice is right-on-the-money! College is a different financial animal for our kids than it was for us, and for those who will go a decade from now … it’ll be far more expensive still. You got that right, Gina!!! No wonder they are all moving back home. More reason to enjoy our empty nest when we get it. 529s really are the best option. I’m glad we did that early on and like you, encourage everyone to put MORE into it than they think is needed. We would not be where we are if we had kids to put through college ~> kids are expensive! I hear ya, Maria. Life is all about trade offs! Some people I know thing my husband and I are crazy because we start talking to our kids about college when they hit 6th grade. We have 529’s we contribute to but there’s no way it will be enough. I start talking to my kids early so they can start being aware that they will need to participate and get involved in extra activities or clubs to a. get into college and b. improve their chances of getting scholarships. I’m also a believer that they should have to pay for some of their college. 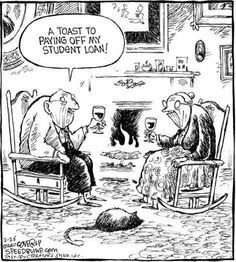 I certainly don’t want them graduating with a mountain of debt but I think if they have some skin in the game they will work harder and take college more seriously.